George Roe had a half sister, by his mother Elizabeth Riley. She was Mary Henchcliffe Riley. Known to the family as Polly. Her father was Thomas Henchcliffe who was born in Ripley, Derbys about 1857. For a time Thomas lodged with the Riley Family at Pinxton in 1880/1881, whilst he worked as an Engine Cleaner. Elizabeth's father Thomas Riley worked as an Engine Driver, so it is likely Thomas Henchcliffe and Thomas Riley met through work. During his time with the family, Thomas had a short affair with Elizabeth, and as a result Mary was born out of wedlock in May 1881. It appears the relationship between Thomas Henchcliffe and Elizabeth Riley did not last, as Thomas went on to marry Elizabeth Gregory in 1883. Mary was raised by her grandmother, Harriett, who had responsibility for her at the time of the 1891 census. In 1891 Harriett was widow, living at Wharf Road, Pinxton, where she took in lodgers to help support her and Mary. Mary's mother (Elizabeth) worked and lived in Nottingham as a servant. Elizabeth married Freer Roe in 1897, and as a result Mary and Harriett moved from Pinxton to Netherfield, Nottingham to be near Elizabeth and her new family. At the time of the 1901 census both Mary and Harriet lived at 7 Fairview Ctgs, Meadow Rd, Netherfield, which was just around the corner from Elizabeth on Garnet St.
Mary stayed living at Netherfield, and supporting her grandmother Harriett. However, at some point she met John Godber Barker who was born in Stapleford in 1878. At the time of the 1901 census John was living at 41 City Row, Beeston, working in the Lace Industry as a Lace Card Puncher. In 1905 John G Barker emigrated to the USA, via Halifax Nova Scotia, Canada. He is listed as single. He went on to settle in Rhode Island, USA. In 1910 Mary emigrated to the USA to join John G Barker, travelling on the ship Megantic from Liverpool, England to Boston, USA arriving at her destination on 20 April 1910. Her intention is to join John G Barker in Pawtucket, Rhode Island. She lists her UK contact address as Mrs Roe, Woodside Cottage, Meadows Rd, Netherfield. A few months later Mary is listed on the 1910 census as Mrs Barker, indicating she married John, not long after her arrival in the USA. They are living at Tunton Street, Pawtucket Ward 4, Providence, Rhode Island. John is employed as a Card Puncher at a Lace Mill. Mary's grandmother Harriett died in Netherfield, Nottingham in the Autumn of 1910, a few months after Mary emigrated to the USA. In 1912, Mary and John had a son Kenneth Godber Barker born 12 April, at Rhode Island, followed by John Rowland Barker born Jul 9, 1914. In the 1920 and 1930 Census returns, John, Mary and their sons are listed as living at Woodbine St, Pawtucket Ward 2, Providence, Rhode Island. John continues his employment as a card puncher in the lace mill, and by 1930 he is joined in the lace mill by his son Kenneth who starts work as a weaver. The diary kept by Mary Henchliffe (Riley) Barker from April - May, 1935 served her as an account book. She records the cost of food she bought, what she prepared for dinner, laundry, and occasionally her activities during the day. 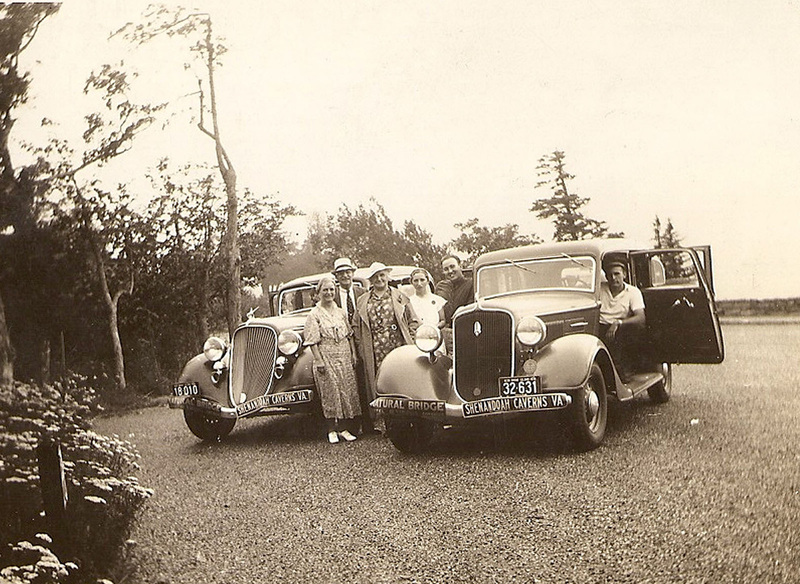 One small glimpse into her personality and relations with her family shows in the entry for April 20, 1935: "Planted 13 gladiolas where Rowland drives his car over Haw Haw." 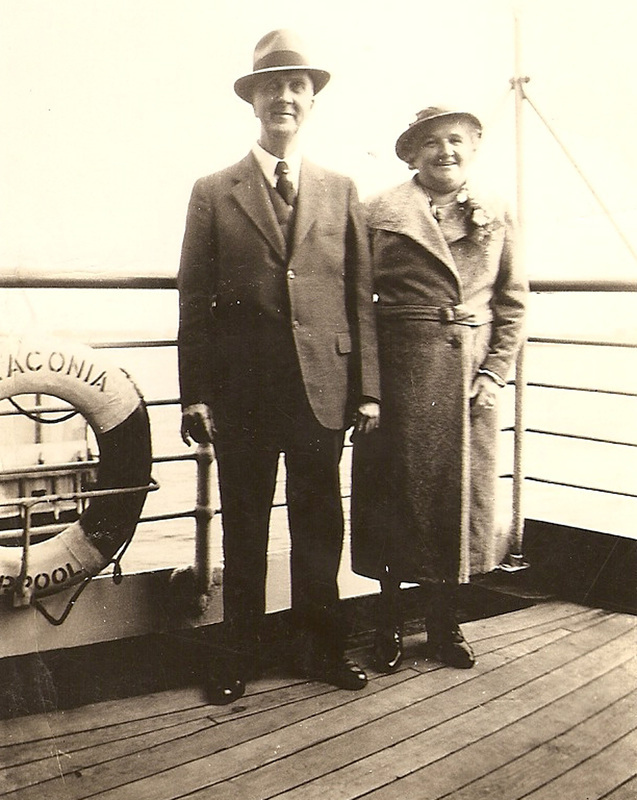 George Roe (my grandfather) kept in close contact with his older half sister, swapping letters, and also taking trips to the USA. I believe John died in 1965, and Mary died about 1960. Kenneth G. Barker was born on 12.4.1912 in Rhode Island. He began his career as a weaver in 193o. 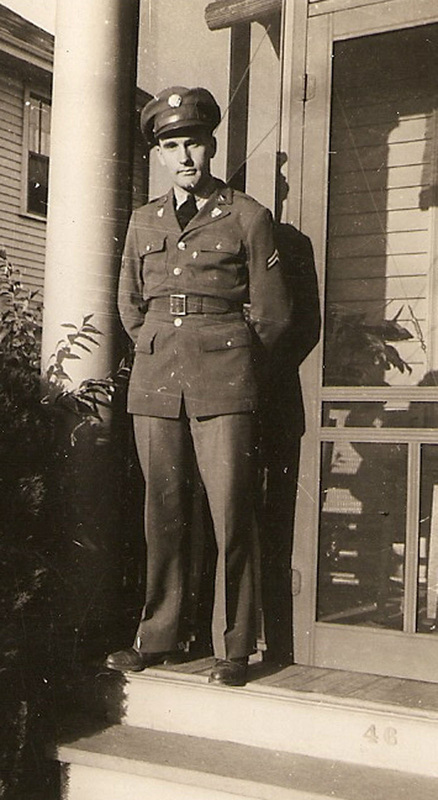 He continued in that line of work until he joined the Army in 1942. 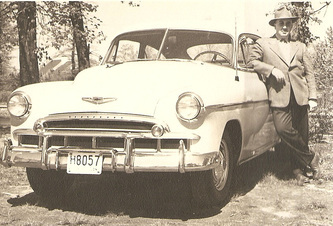 He served at Fort Standish in Boston, MA protecting the harbor before going to England in 1944 and then France in 1945. 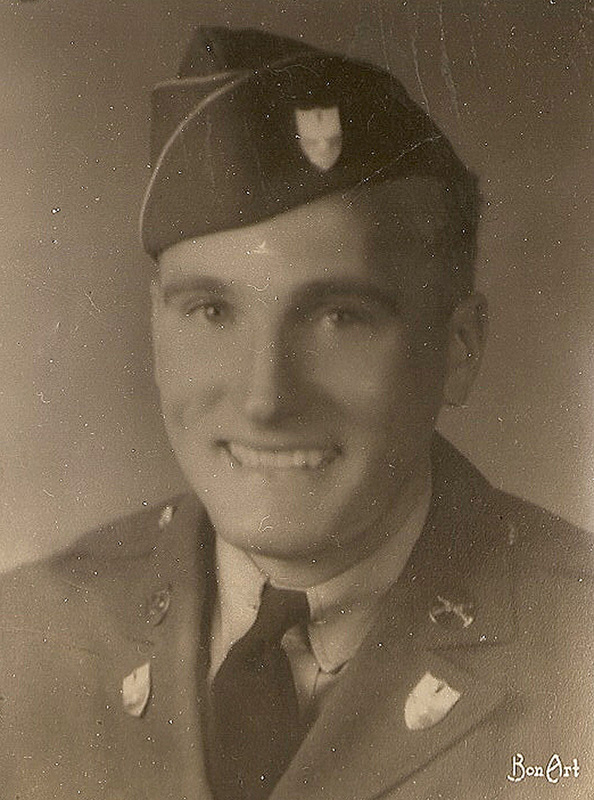 He served with the 241st Coast Artillery (Harbor Defense); Battery I, 9th Coast Artillery and Battery C, 549th Field Artillery Battalion. 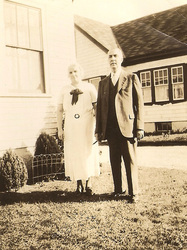 After the war, according to the City Directories for Pawtucket and Central Falls, he returned to live with his parents and brother at 46 Greenfield St. in Pawtucket and took up his old work as a lace weaver. The directories list him as working for the American Textile Company from at least 1952 to 1972. He switches to the Bodell Lace Company sometime around 1975 and retires around 1977. The directories also list Kenneth as married sometime around 1963 to a woman named Helen Louise Neary. They live at 35 Waterman in Pawtucket. He marries a woman named Ruth circs 1969 and she works as the office manager for the RI Council of Churches. Ruth dies sometime between 1981-1983. Kenneth died 14.2.2000 Darlington / Pawtucket, Rhode Island. John Rowland Barker (Jul 9, 1914- May, 1999) was born in Pawtucket, RI to Mary Henchliffe (Riley) Barker and John Godber Barker. Rowland enlisted in the United States Army in March, 1941. He served the entire duration of World War II, spending three years on islands in the South Pacific including the New Hebrides (now Vanuatu), New Caledonia, Guadalcanal, Fiji, Manihiki and Tonga Tapu. He was on board the troop ship the SS President Coolidge when it was sunk by "friendly" mines on October 26, 1942 just off the coast of Espiritu Santo, Vanuatu. Rowland gives a brief description of his escape from the ship in his November 9, 1943 letter to his parents. He contracted malaria in the spring of 1943 and was hospitalized for several months. After recovering his strength he was finally granted his desire to transfer to the Air Force in July 1943 and was attached to the 13th Air Force, 319th Fighter Control Squadron. In May 1945, Rowland's outfit was moved to the island of Mindanao, Philippines. It appears that he returned to the United States aboard the SS Cape Henlopen in October, 1945. He lived in his parents house for the rest of his life at 46 Greenfield St. in Pawtucket. His obituary in the Pawtucket Times on May 31, 1999 states that he worked for the Bodell Lace Company in Pawtucket, RI as a lace card puncher until his retirement. A search of the City Directories for Pawtucket and Central Falls confirms that information. He retired sometime around 1983. There is no evidence that he ever married nor had any children. He is buried in Attleboro, MA. Rhode Island Historical Society Manuscripts Division has a collection containing letters, diaries, an address book, a newsletter from the SS Cape Henlopen, and an account of the premiums paid by Rowland Barker to the Modern Woodmen of America. 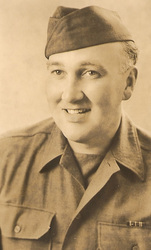 The majority of the letters are written by Rowland Barker to his parents while serving in the Army and then the Air Force during World War II, 1941-1945. The collection also includes eight letters from Kenneth Barker to his parents, 1942-1945 and four letters written by various Barker family relatives in England and Australia, 1942-1945 which give good descriptions of conditions in those places and details about the enlistment of the male family members. 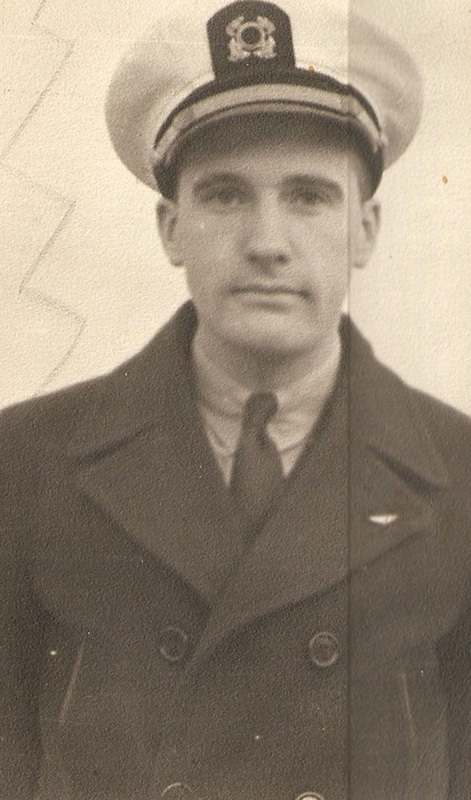 While in training in the United States, Rowland was able to write detailed accounts of his activities and training. Once he is shipped overseas to the South Pacific, the censors check his mail and any descriptions of his location or military activities are strictly forbidden. His letters become accounts of his free time which consists mostly of watching movies, writing letters and swimming. He does provide occasional glimpses into the action and his response to it: Sep 9, 1943 "I had one of the biggest thrills that I ever had just recently. Saw a couple of Jap bombers shot down in flames. Boy, they really hit too. Makes a guy feel good to see stuff like that." Attitudes toward the Japanese come through clearly in several passages: November 3, 1943: "Nearly every squadron has a Jap skull outside their orderly room as an ornament and lots of trucks have them on their radiator caps. Some even illuminate the insides with an electric light to give them an eerie expression at night." In the four diaries written before the war by Rowland Barker,1936-1939, he writes primarily about his leisure time. The favorite activities are movies, shooting practice at the Providence Revolver Club, model trains and airplanes, cruising in the car and spending time with his brother "Kennie" and their friends at the Howard Johnson's restaurant. He briefly and infrequently mentions his work at the Bodell Lace Company in Pawtucket, RI. See the Diaries inventory at the RIHS for more complete descriptions of the diaries written by John Rowland Barker and Mary Barker. These papers were purchased in two lots in 2002, from dealers Priscilla Bureau and Dennis Irvine.